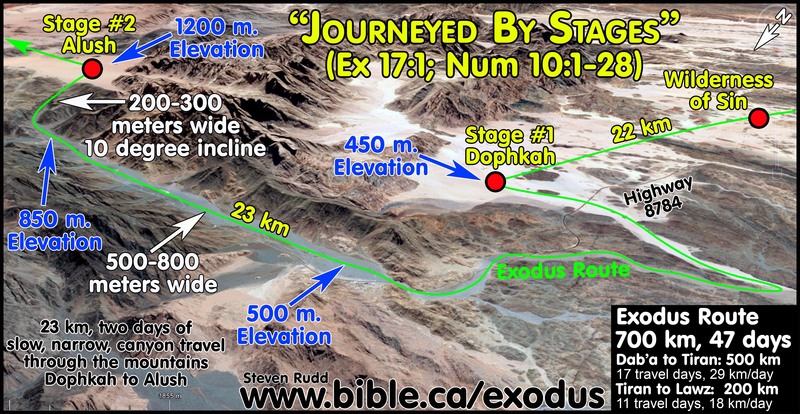 Dophkah and Alush are both staging locations between the wilderness of Sin and Rephidim. 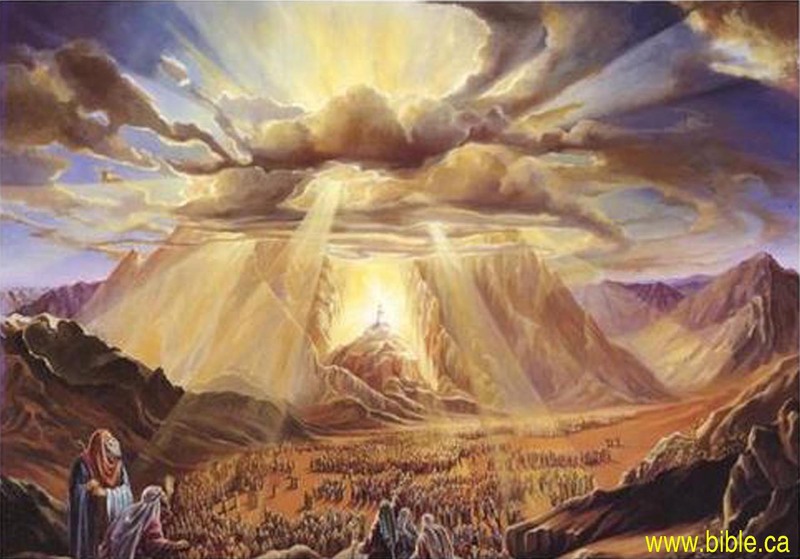 Little is known about them except that they are located in difficult terrain. 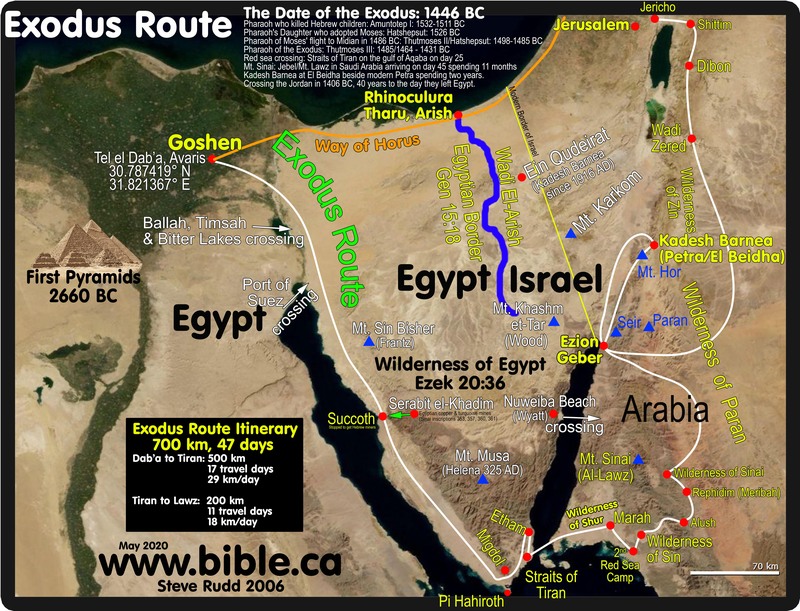 They shuttled through Dophkah in stages over 2-3 days, but the first arrivals would be on Sunday evening, or Monday Day 15 from the Red Sea crossing. 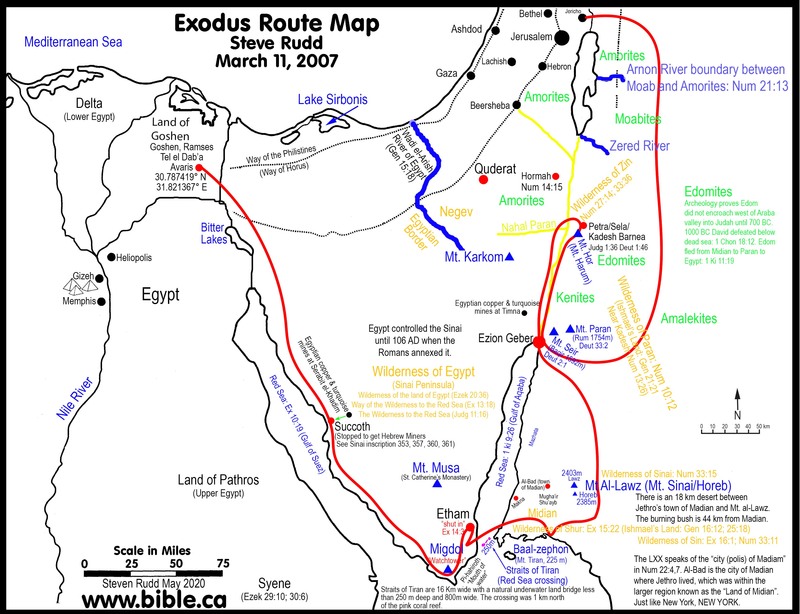 Here is the beginning of the difficult and narrow ground they encountered after leaving the wilderness of Sin. The traveled through a trench that at times was only 100 meters wide. 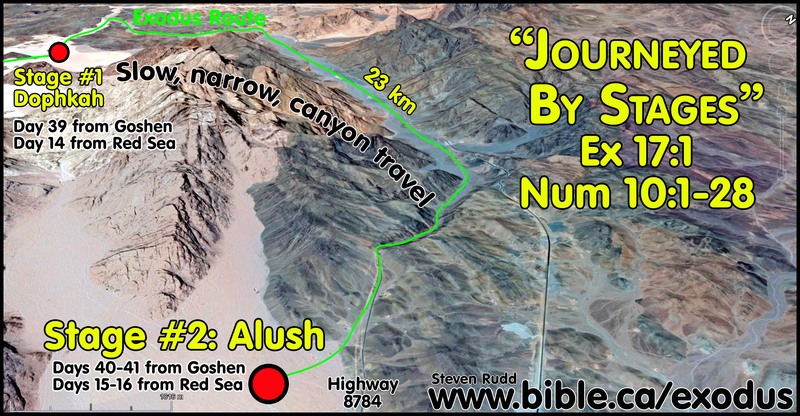 A view looking back from Alush, the second stage complete. 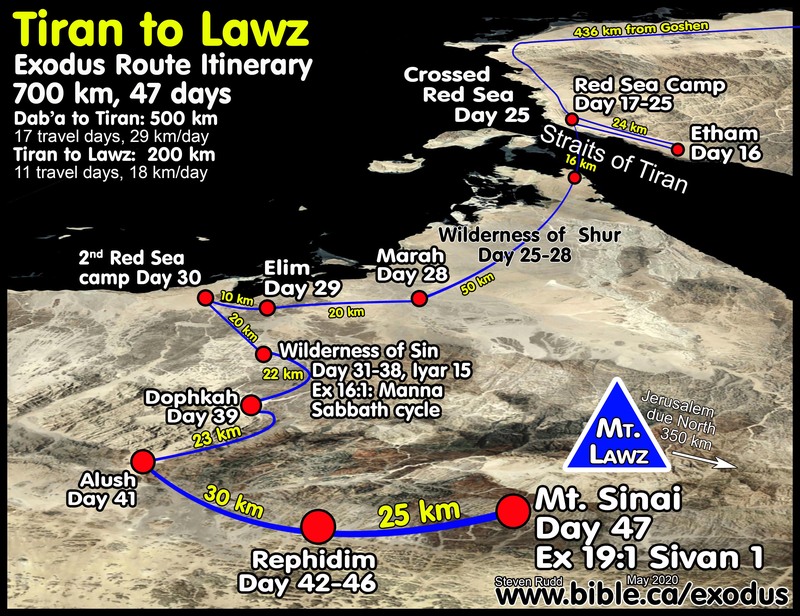 After Alush they went on in relative easy terrain to Rephidim.